Roger Federer pulled out of Sunday’s final at the O2 Arena with a back injury, handing Novak Djokovic his third consecutive World Tour Finals title. Federer came out on court half an hour before the match was due to start and apologised to the crowd after revealing he was unable to play. “I’m sorry I’m here in a tracksuit,” said Federer, 33. “Unfortunately I’m not match fit to play the match tonight. I hope you understand. Clearly I wish it wasn’t so. I didn’t want it to end this way. Federer, who is due to play for Switzerland in next weekend’s Davis Cup final against France, aggravated his back during the third-set tie-breaker of his semi-final win against Stan Wawrinka. The world No.2, who struggled with back problems in 2013, saved four match points before beating Wawrinka 4-6 7-5 7-6(6) in two hours and 48 minutes. He did not finish his media duties after the win until 1am and reportedly did not leave his central London hotel until 3.30pm on Sunday, with the final due to start at 6pm, missing his scheduled afternoon practice session. “It’s a very disappointing end to the season,” Federer added in his press conference. “I was playing so well here, had a great season so far. I was feeling great until yesterday’s tie-breaker. I felt all of a sudden the back was feeling funny. “I tried to have treatment on it, medication on it, just tried to turn around as quick as possible really, but didn’t really feel that much of an improvement overnight. Novak Djokovic earned himself a shot at a third consecutive World Tour Finals title after battling past Kei Nishikori in three sets in Saturday’s first semi-final at the O2 Arena. After a litany of one-sided matches in the round robin stage, Djokovic looked set to continue the theme by easing through the first set but Nishikori stunned the world No.1 by taking the second to force a decider. It was just the third time at these Tour Finals that the O2 Arena had seen a third set, and Djokovic regained his composure to eventually ease through it for a 6-1 3-6 6-0 win in one hour and 27 minutes. “Honestly, today I found it a little bit difficult mentally to stay concentrated throughout the whole match,” Djokovic said in his press conference. “After emotional three matches I had, especially yesterday when I achieved the goal to finish as No.1 of the world, knowing that, I felt a little bit flat emotionally. I needed a little bit more time to kind of give myself a boost. 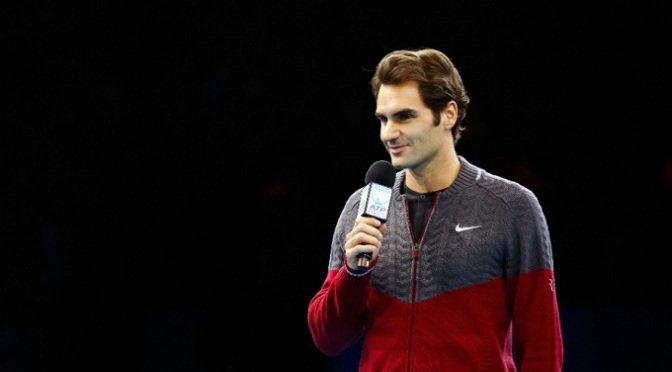 “I was fortunate because in the beginning of the third set, he had break points. If he broke me, the match could have gone either way. I managed to find that little bit of strength and get a win today. Novak Djokovic crushed Tomas Berdych 6-2 6-2 to reach the last four of the World Tour Finals and clinch the year-end No.1 ranking. Djokovic secured an immediate double break and wrapped up the first set in just 31 minutes, securing his place in the semi-finals at the O2 Arena. The second set began the same way as Djokovic raced into a 4-0 lead before completing the rout in one hour and nine minutes, racking up his 30th straight win indoors, a streak which extends across three seasons. “It’s a great deal of happiness knowing that what I’ve been through the entire season in order to get to where I am and finish the year as No.1,” said Djokovic. “I owe gratitude to my team, to all the people who were next to me. It is the third time in four years that Djokovic has finished the year at No.1, as he chases a third consecutive World Tour Finals title. In 2014, he claimed his seventh grand slam at Wimbledon, and has won other six titles, including four Masters crowns in Indian Wells, Miami, Rome and Paris. “One of the highest and most difficult challenges is to be No.1 nowadays, especially because the tennis has become very competitive in the last five, 10 years, very physical,” added Djokovic. “To have a shot at No. 1 of the world, you need to be consistently healthy and successful throughout the year. 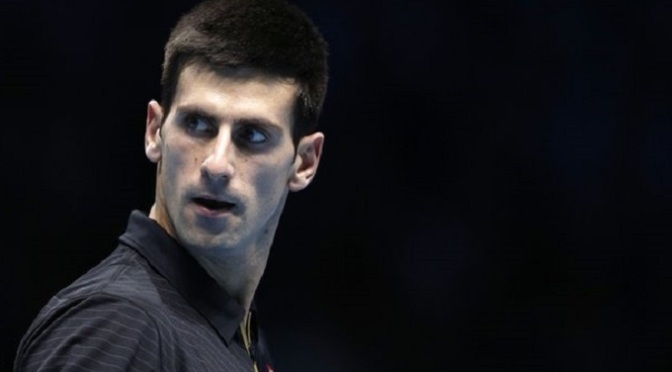 Djokovic now faces Kei Nishikori in the semi-finals on Saturday and is anticipating a battle. 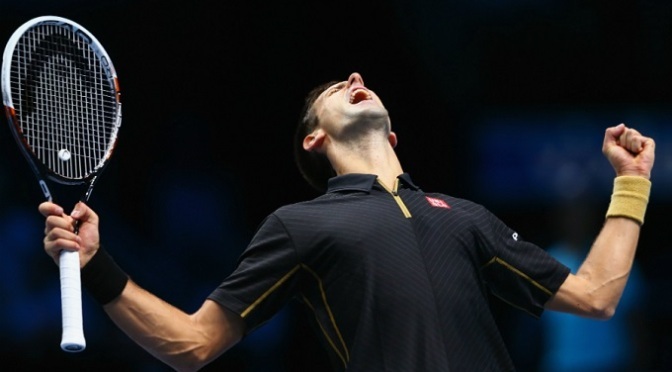 Novak Djokovic produced another scintillating performance to beat Stan Wawrinka at the ATP World Tour Finals. The world number one recovered from losing the first two games to win 12 of the next 13 in a 6-3 6-0 win. 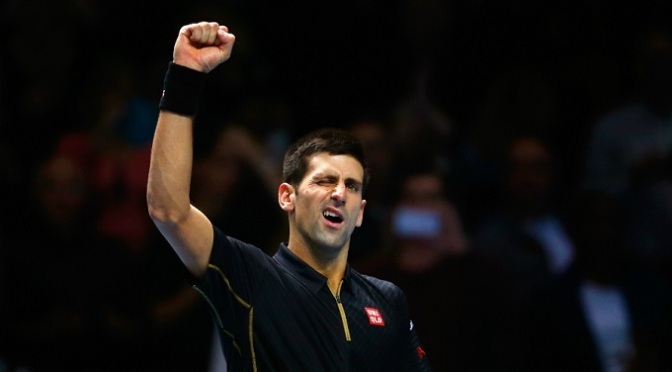 He has not lost at the O2 Arena since 2011 and is now unbeaten in 29 matches indoors. Djokovic remains top of Group A with his final round-robin match against Tomas Berdych to come. The Serb will guarantee the year-end number one ranking with another win on Friday, and it is hard to see who can stop him claiming a hat-trick of ATP World Tour Finals titles on Sunday. “On my side, I just played very solid from all over the court. I think I covered the court very well, got a lot of balls back, mixed up the pace, got him off the comfort zone. That’s something that was part of my game plan. “After I lost the first two games, obviously I didn’t start so great. I thought he played very well the first two games. But I wasn’t frustrated, I kept my calm. Novak Djokovic saw off Britain’s Andy Murray in a gripping late-night contest to reach the US Open semi-finals. The world number one came through 7-6 (7-1) 6-7 (1-7) 6-2 6-4 in a match that lasted three hours and 32 minutes, and finished at 01:17 local time (06:17 BST). Djokovic will play Japanese 10th seed Kei Nishikori in the last four on Friday. Murray could take encouragement from his best performance since beating Djokovic to win Wimbledon last year, but the Serb proved relentless in their 21st meeting. Defeat means that Murray has failed to get past the semi-finals of any tournament after undergoing back surgery in September 2013. I played well,” said Murray. “Especially the first couple of sets was some good tennis. “I played a poor tie-break in the first set definitely. I was down in the first set and I fought back. I was down in the second set and a break and I fought back. The pair extended each other to the limit once again, and repeatedly had the 22,000 spectators in Arthur Ashe Stadium on their feet as brutal rallies were followed by roars of delight. In a contest of numerous opportunities, it was the more clinical Djokovic who prevailed, winning seven of 10 break points while Murray converted just four of 16. 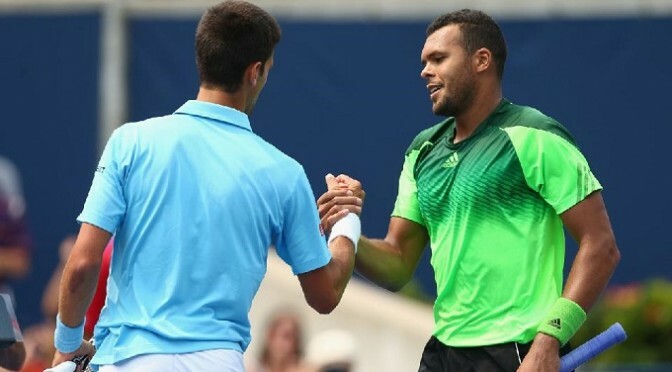 Frenchman Jo-Wilfried Tsonga handed world number one Novak Djokovic a shock 6-2 6-2 third round defeat on Thursday as the Rogers Cup in was rocked by upsets. A three-time winner on the Canadian hard courts, Djokovic never found his rhythm in Torontom needing a third set tiebreak to get past Frenchman Gael Monfils on Wednesday in his opening match. Playing his first event as a married man, the Serb had reached the semi-finals or better in all seven tournaments he had played since a quarter-final loss at the Australian Open, winning titles at Indian Wells, Miami, Rome and Wimbledon where he reclaimed the top ranking.